This week on What Up, Long Beach?! JJ and Mike are discussing the Long Beach PONY All-Star success with president and manager Ken Jakemer (2:30). Subscribe to What Up, Long Beach?! on Apple Podcasts or Podbean. 33:00 Either, Or: Hard Knocks or Last Chance U? Ken Jakemer makes his living as a software project manager, but inside his chest there’s a beating baseball where his heart should be. He’s been volunteering at the Long Beach PONY youth baseball league at Whaley Park for more than a decade, and has coached four All-Star teams of 14-year-olds to the PONY World Series in Washington, Pennsylvania—including the group that returned home just last week. Jakemer has a good eye for talent and an intuitive sense of how to put a team together. Ten years ago, when he stood before his 2008 All-Stars for the first time, he knew it was going to be a special group. 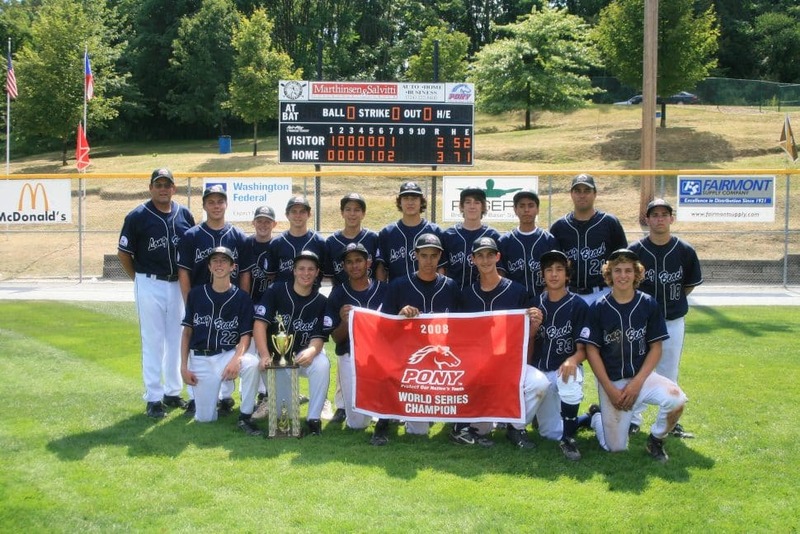 The PONY team the year before, in 2007, had made it to the World Series and lost in the championship game to Puerto Rico. It was Long Beach’s first trip to the World Series in a long time, and the 2008 kids had been hearing all year from the 2007 players about how they would never live up to their performance. Jakemer says that motivation was obvious from the first practice the team held. Older baseball fans might gripe about the younger generation not playing outside enough, but nobody could have leveled that complaint at the 2008 Long Beach kids. The bulk of the 14-man roster grew up playing baseball together in Little League, at the Tom Hicks Baseball Camp, and on youth travel teams. The team easily beat Lynwood 11-1 in its first game, setting up a showdown with its historic rival, Heartwell PONY. Representing the Lakewood area, Heartwell’s PONY program and Whaley’s have been battling it out for more than a half-century—and for most of that time, Heartwell got the better of the rivalry. A good portion of the city’s baseball fandom turned out to see the game, which was held at Whaley. 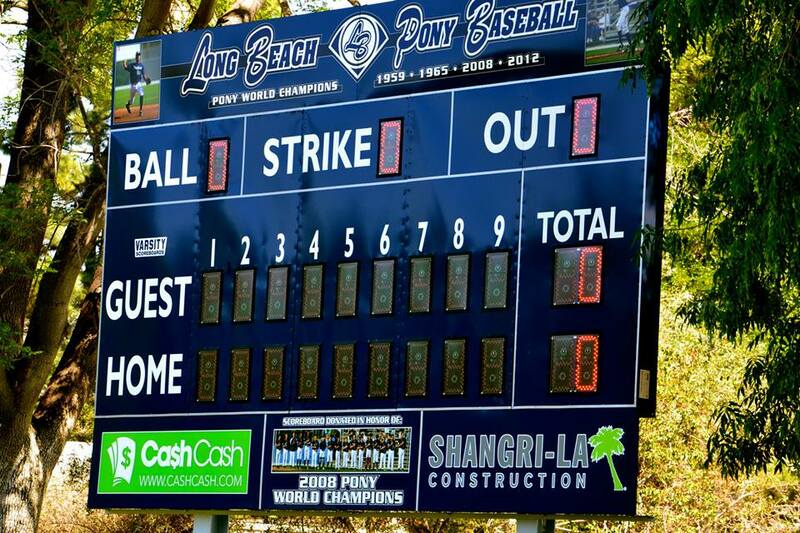 The Long Beach kids didn’t just win, they won 15-1 via mercy rule, a shocking upending of the status quo. “We thought that was our World Series,” says Walker. Walker hit a grand slam in the first inning, and De Jong, Matt Heavin, and Matt Maccarrone all hit homeruns. With the Heartwell monkey off their backs, the Long Beach kids kept ripping off wins. They won the Section Tournament, they went to Whittier and won the Super Regional Tournament, and they went to Fullerton to win the Zone Tournament, riding pitchers Oliver Van Buskirk, Brett Harper, Ty Provencher, and Soloman Williams to wins over the best programs from California, Arizona, and Utah and earning a trip back to the big show. Jakemer and his assistants Rick Romo and Victor Merrill had just a few days to coordinate the travel of 14 kids and their families across the country to Washington, Pennsylvania. The team arrived with Long Beach swagger, as WIlliams had his barber cut a “562” into the back of his hair. The players were packed in four to a room in the hotel but one of them brought a Playstation, which meant it was often more crowded than that. For some, there was too much playing. 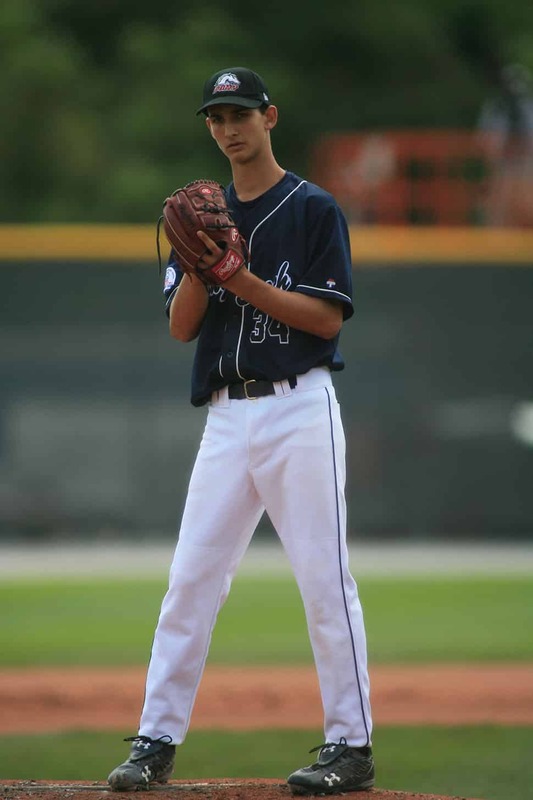 De Jong is a famously focused athlete and he likes to make sure he’s rested before game day, especially when he’s pitching. Walker says that on another night the team was being too loud, De Jong threw a quarter at the wall in frustration. The 6-foot-4 pitcher was the team’s ace for a reason—the quarter stuck in the wall. In between all that off-field fun, the team played some great baseball, too. They dispatched the state champions from Florida and Maryland, and earned their way into a championship game against Chinese-Taipei. In the bottom of the seventh inning, Long Beach was trailing 2-1 and feeling the stress, just three outs away from losing a second consecutive world championship. Maccarrone hit the first pitch he saw through the 5-6 hole to get on base, and then Van Buskirk stepped to the plate as a pinch-hitter and delivered a Hollywood ending. He drove a long fly into right center, and put enough power into it to carry it over the fence. Van Buskirk came in from the dugout and delivered one of the city’s great sports moments: a walkoff world championship homerun. De Jong didn’t see what happened. The players jumped up and down around home plate, screaming at each other not to touch Van Buskirk until he touched home plate and the win was complete. As soon as he did, they mobbed him. The fans in the stands were going crazy, the announcers were screaming into their microphones. Back home, fans had gathered at Legends to watch a livestream of the game—their cheers could be heard for blocks. Van Buskirk’s jersey went to Cooperstown for a year and now resides permanently in the PONY Hall of Fame. The Long Beach kids came home and went straight to Whaley, where they were greeted by friends and fans. The city threw them a parade, and the kids spent the rest of the summer as local celebrities, honored everywhere they went. Twelve of the 14 players ended up at Wilson High, with the exception of Walker, who went to Poly, and Avery Flores, who went to Millikan. They all spent their high school years battling it out at Blair Field. The Wilson players won a California Legion state championship in Yountville together in 2010. As the years unspooled from that magic summer of 2008, Jakemer’s impression that this was an uncommonly talented team was proven correct. According to the NCAA, about 2 percent of high school varsity athletes receive athletic scholarships; a whopping six of the 14 players on the 2008 PONY team went on to play college sports. A seventh could have, but De Jong skipped playing at USC because he was drafted by the Toronto Blue Jays. While Heavin was playing at Chapman, while Provencher was suiting up for the Dirtbags at Blair Field, while Walker went to Oregon and Williams went to Cal State Bakersfield, while Flores was grinding at a college program in Texas, while Harper was playing football at Pomona, De Jong was working his way up through the minor leagues. He made his Major League debut for the Mariners last spring, and is now in the Twins’ system, hoping for a September call-up. The baseball IQ that carried the team through 2008 has continued to show up. Despite the fact that the players are just now entering their mid-20s, several of them have already begun careers as coaches. Williams and Heavin have both coached at Wilson and co-founded a travel team, the Long Beach Quakes. Walker coaches junior college ball and coached the Rochester Honkers over the summer, a college summer baseball program, becoming the youngest-ever head coach of a Northwoods League program, and Provencher is coaching in Orange County. Scoreboard today at Whaley honoring 2008 champs. If you’re friends with a few of the former players on Facebook, you get to see a lot of their faces pretty regularly. That’s because most of the team has remained close over the last decade. Walker says the enduring bonds have something to do with the success they first tasted together in 2008. Players: Chase De Jong, Daniel DeWolf, Cody Elder, Irie Elizalde, Avery Flores, Jake Hardy, Brett Harper, Matt Heavin, Matt Maccarrone, Victory Martinez, Ty Provencher, Oliver Van Buskirk, Thomas Walker, Soloman Williams.